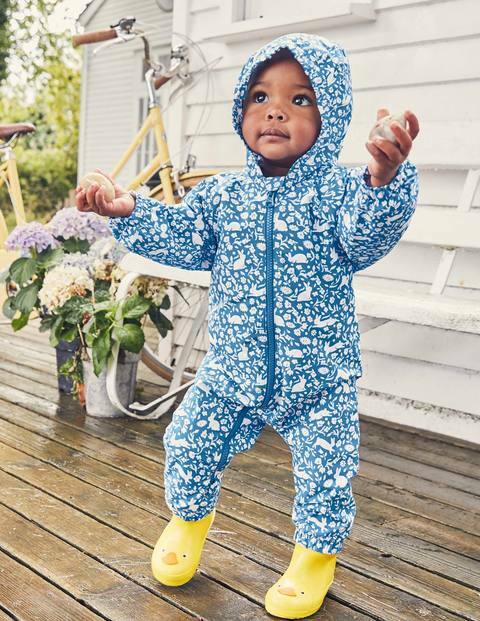 There's no need to wait for the rain to stop: this bunny-print puddle suit is waterproof so can stand up to anything from gentle drizzle to serious downpours. It comes with a matching drawstring bag – perfect for popping under the buggy when little rabbits don't feel like toddling to town. With a zip down the front, it's easy to whip on when there's a surprise shower.